Israel, Syria and Russia scaled up their contest over Syria. On Sunday, Jan. 20. Israel made a point of striking Damascus airport in the face of a Russian warning, while Syria launched a missile against Israeli Golan and Moscow issued bulletins on the state of play. This was Israel’s first air strike against a Syrian target since Lt. Gen. Aviv Kochavi’s took charge of the IDF last week as new Chief of Staff. It was also rare in that Israeli warplanes operated in daylight. According to the Russian Defense Ministry, four Israel Air Force F-16 fighters flew in from the Mediterranean to attack Damascus international airport. 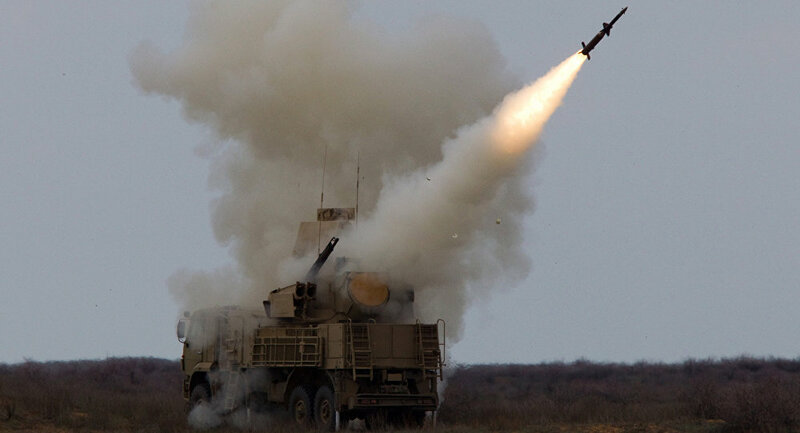 Syrian air defense weapons, which the Russian DoD confirmed this time, were Pantsirs and Buks, were launched against the Israeli jets and the missiles they dropped, claiming to have intercepted 7 missiles. These bulletins flowed throughout the incident from Russian spokesman to local correspondents. Only last week, an Arab publication warned Israel that no more air strikes must take place against Damascus international airport which was being made ready for commercial traffic. Just one hour after the Israeli air strike, two Syrian missiles were launched against the northern Golan and Mt. Hermon. The IDF spokesman reported they were intercepted by an Israeli Iron Dome air defense battery. Several thousand skiers on the Mt. 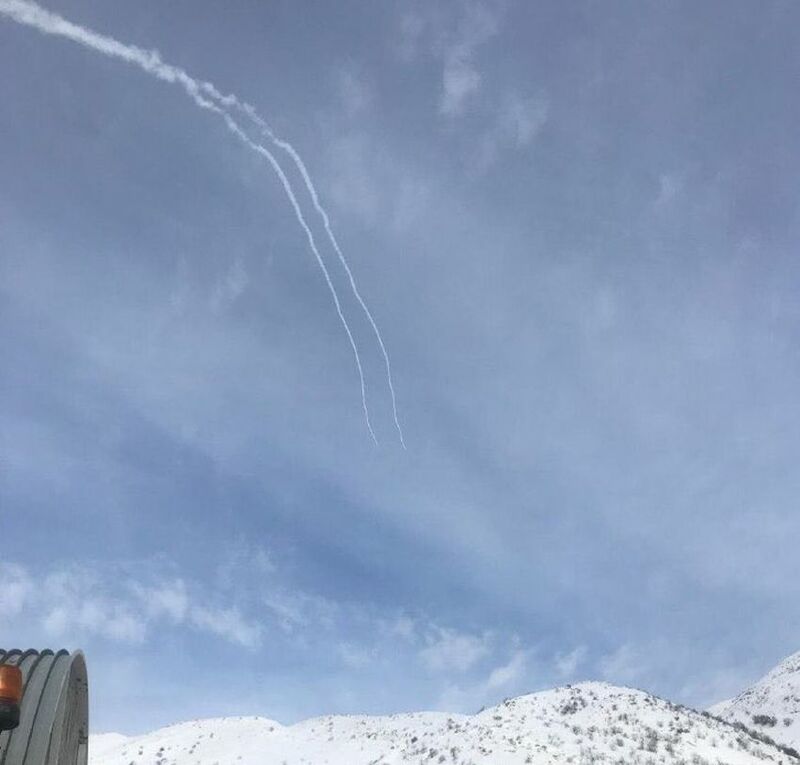 Hermon ski slopes just north of the Golan saw the flying projectiles. To avoid panic, the spokesman said there was no need for them to leave the slopes. However, DEBKAfile’s military sources report that, on Dec. 26, both Russia and Syria warned that for further Israeli air strikes, they would shoot anti-air missiles into Israeli air space. This was taken as a threat to fire SA-5 anti-air missiles from the Damascus region. The threat came the day after one of those missiles caused major alarm in the cities of central Israel. So Israel will move in and fight against Syria? So schools may become closed in the south eastern golan. Matthew 24 prophecy is at work,this prove that my Lord Jesus Christ can never lie amen. What specifically are you referring to? I’m just curious about what specifically in Mathew 24? Yeshua doesn’t lie. I see Isaiah 17 being very relevant to this situation that has been going in since the Syrian civil war began, and it has only become more likely as the weeks and months go by. I am watching for what is described in Isaiah 17 to possibly happen any time. Then we will know almost exactly where we are moving forward, it could go right into Ezekiel 38-39. Religion is part of the problem not the solution. If you children are incapable of making peace, we will obliterate your lands and salt the earth. You will be left to fight over the ashes. Only Russia. And Golan belongs to Syria! Why, so they can bombard the Galilee again. It’s been annexed and is now part of Greater Israel. The Golan was bequeathed ….. in other words GIVEN to Syria following WW1. It was not Syrian land. But the French and Britain did give it to Syria, And what did Syria do with the Golan ? They shot rockets at Israel from the Golan. In 1967 Israel took the Golan away in a war. Then annexed it to Israel. The story ends there. Syria will only get the Golan back if it wins a war with Israel. Pointe finale. “…Syria will only get the Golan back if it wins a war with Israel.” EXACTLY. Hezbollah presence in Syria is not legitimate, bombing is Ok. In fact, the very Hezbollah existence is not legitimate, bombing is required. Disagree about Hezbolla presence in Syria.They are there because the Syrian government invited them.However, if these invitees are going to cause problems with the neighbors,and in particular Israel, then they can expect Israel to what they will to deal with those problematic guests in Syria.With the presence of Hezbolla and Iran in Syria, Syria cannot expect peace.The Russian presence ought to be enough,but it appears Russia does not want body bags returning to Moscow. Not so much Moscow doesnt want body bags returning home. More like Russia is pragmatic in its approach, it understands the fine balance of diplomacy between ALL players in the field. I’m sure the Jewish brains in Israel have a way to destroy targets in Syria no matter what the Russians do. Israel can saturate the target with missiles and overwhelm the air defense system. They can’t stop Israel. Israel will strike one way or another. What god are you talking about exactly? Are you a zionist? If you are a christian you should review your view. The god of Israel is no longer the God of the bible. This Israel has been rejected till the end. The devill is their god and they will be destroyed in the last day. At least, that’s what the bible says. You need to read the Bible again, the God of Abraham , Isaac , and Jacob IS the God of Israel. God has not turned his back on Israel, he promised to defend Israel. Thats in the word of God. The whole world is Gods, Our body is the temple that our spirit rests in. Christ’s keys over our pineal gland , He’s our high priest. Zionism a sham. You’ve never read the Bible. You know nothing. Troll. One day they will.As will Damascus. Hezbollah, Hamas. All will be gone. Yes, you don’t need to rely on ‘prophecies” to understand that. They will over-play their hand and force Israel to use WMD’s. This is where its going and Israel’s enemies (Russia now firmly one of them) seem to want that to happen. Tehran is much smaller than Israel. Israel punches above its weight. Russia will regret this. It means war. are you stupid Man? ISRAEL CAN TAKE ANY COUNTRY IN THE MIDDLE EAST. IT CAN TAKE SYRIA …..IT CAN BREAK APART IRAN AND TAKE IT AND FREE IRANIANS….. IT CAN BREAK APART TURKEY AND WHAT ELESE!!!!!. Netanyahu has been reduced to ‘Zombie man walking’ status stumbling around out in sunlight at this point – he has been abandoned by Trump, the US military (again), MbS, and by the Commanders for Israeli Security (again). Netanyahu is not the state of Israel.Needless to say, there are many capable leaders in that nation. There is no “Legal” and “Illegal” when it comes to armed conflict, especially a larger war. It’s who wins that counts. russian and syrian forces failed to repel IAF. YOU ARE THE BEST !!!! IAF CRUSH ONCE FOR ALL RUSSIA IN SYRIA . ISRAEL SUCCEED WHERE THE WEST FAILED WITH THE BIG FEAR OF RUSSIA. ISRAEL HAS SHOWN TO WEST AND THAT RUSSIA , RUSSIAN FORCES COMBINED ARE NOTHING!!!!!!! I support equality for Israel. Israel needs a piece of real estate that is equal to all of it’s surrounding neighbors. They can stop bombing as soon as that goal is achieved. The squatter colony cries “missile strike” after their attack fails. If you’re gonna do fake news, Mossad, at least do it well. What a bunch of phucking LOSERS! The world is ruled by Christian Spirits and as soon as the fake Israelites(read Jews) overplay their hand, the real Christian believers will be taken off this world and the Jews will be allowed to destroy this world. But that will be the end of their power on earth for ever as they will be captured into the inside of the earth in new creations and they then will HAVE TO SERVE AGAINST THEIR WILL FOR EONS. And the Christians will inherit a new World full of wonders without the influence of the Jew. It’s real simple. Russia cannot tell Israel that they can’t protect themselves and must get slaughtered because Putin said so. F Russia. Israel has 500 nukes and ICBM’s. Russia can kiss everyone of their major cities goodbye if they start a war with Israel. Now, Israel wouldn’t survive either, but that’s better than being starved to death in a prison camp.